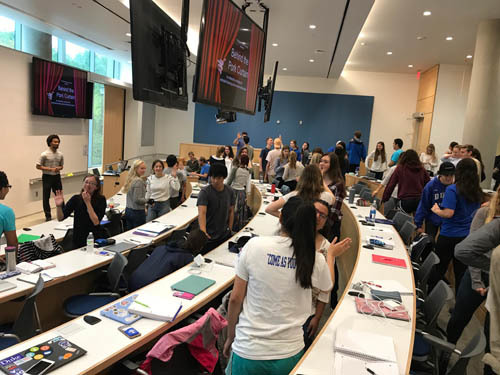 In order to promote awareness around industrialized agriculture in NC, the Rachel Carson Council partnered with Professor Rebecca Vidra of Duke University to host a two-part workshop to engage students. The workshop used Theatre of the Oppressed (TO) techniques to explore the externalities of CAFOs and their impacts on EJ communities’ quality of life. The purpose of this partnership is to remind students of their power to disrupt environmental harm and instill in them the value and neccesity of community-based research. If you would like to host a workshop, send us a request.